The average statewide July temperature was 76.4°. This is 1.8° above the 1981–2010 average and ranks as the 13th warmest July in 124 years of records (2.6° above the full period of record average). Eleven of the 18 warmest Julys since 1895 have occurred in the past 20 years (since 1999). The average daily maximum temperature across the state was 87.2°, which is 2.2° above average and ranks as the 15th warmest on record. The 65.6° average minimum was 1.4° above the 1981–2010 average and comes in as the 17th warmest. Statewide, August precipitation averaged 5.63”. This was 1.53” above the 1981–2010 average and ranked as the 32nd wettest since 1895. It was the wettest August since the record wettest month in 2011. As is often seen in the summer, the majority of the precipitation fell in scattered showers and thunderstorms. This resulted in a wide range of monthly totals around the state, with some serious flash flooding occurring in several locations when moisture ladened storms parked themselves over an area for multiple hours. Where storms missed time and time again, rainfall totals were below average. 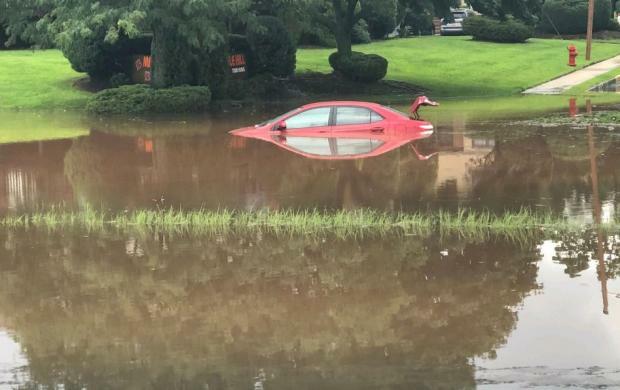 The northern NJ climate division (Hunterdon, Somerset, and Union counties northward) saw their 10th wettest August on record, with an average of 8.28” falling. This is 4.17” above average. Since 1990, only August 2011 was wetter in this division. After April timidly transitioned into milder weather, May was plenty bold in the thermal department, on multiple occasions behaving more like summer than late spring. 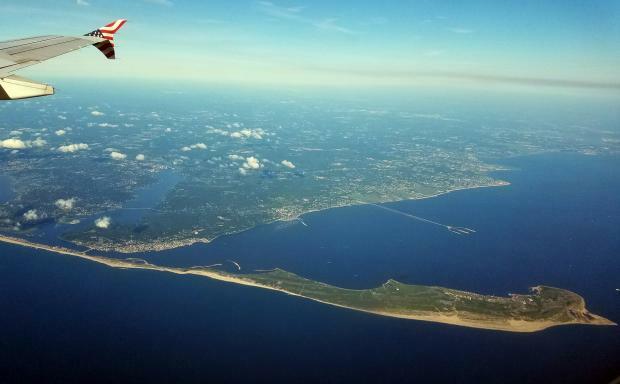 Most NJ residents did not seem to mind the warmth; rather, from the second week onward, it was the frequent episodes of rain, often targeting weekends, which raised the level of crankiness among many! Statewide, this was the 5th warmest May since records commenced in 1895. The 65.0° average was 4.5° above the 1981–2010 mean. Five of the ten warmest Mays have occurred since 2004. In most locations, rain fell on at least half of the days of the month. 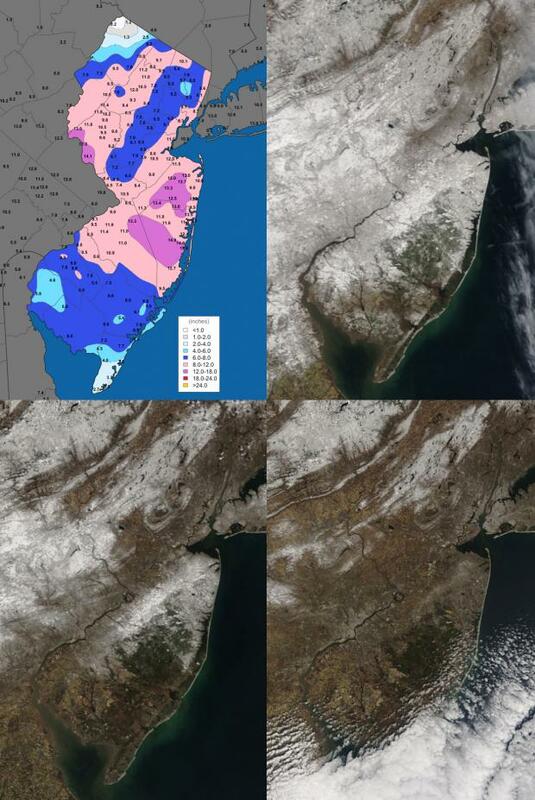 The 5.96” average across NJ was 1.97” above the 1981–2010 mean. This ranks as the 13th wettest May on record, but 0.55” below last year’s average. If you think it has been a long time since New Jersey experienced as chilly an April as this past one, you are correct. With snow accumulating in a storm on the 2nd to snow showers on the 30th, one was hard pressed to find many days when pleasant spring conditions could be found. Toss in two mid-month days when temperatures soared into the middle 80°s and another with strong thunderstorms delivering flash flood-producing rains, and weather-oriented heads kept spinning. However, overall, it was the persistent chill that captured the most attention, with the green up of lawns and foliage, accompanied by the blossoming of spring flowers, delayed from normal by upwards of two weeks. Statewide, the April average temperature of 47.7° was 3.2° below the 1981–2010 mean (2.0° below the 1895–2017 mean). This ranks as the 28th coolest April since 1895 and the chilliest since 1982 (also 47.7°). The highest temperature observed in NJ was 87° at Stewartsville (Warren County) on the 14th and the coldest 16° at Walpack (Sussex) on the 11th. April precipitation across NJ averaged 4.20”. This was 0.21” above the 1981–2010 mean (0.48” above the period-of-record mean). This was the 38th wettest April on record. Plentiful precipitation since February has eliminated drought concerns as we enter the summer water consumption season. Reservoirs and ground water levels are in good shape. However, this never means we should let our guard down and not use water in a responsible manner. While the first and last few days of the month came in disguised as a lamb, March 2018 was a roaring lion on many occasions. Three nor’easters pounded New Jersey, with a fourth grazing the state, turning more of its wrath on southeastern New England. 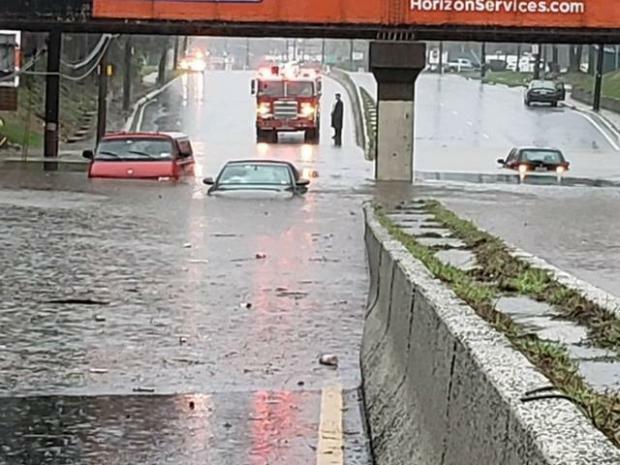 In true nor’easter fashion, the storms brought minor to moderate coastal flooding, significant beach erosion, powerful winds, heavy rain, and record- to near-record-breaking snowfall. 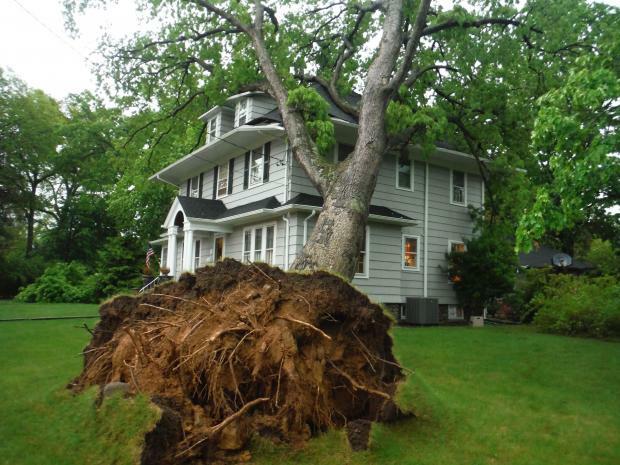 This led to two of the larger power outages since Sandy in 2012, numerous traffic accidents, significant tree damage, frequent school closings, and even someone being injured by lightning during a snowstorm. 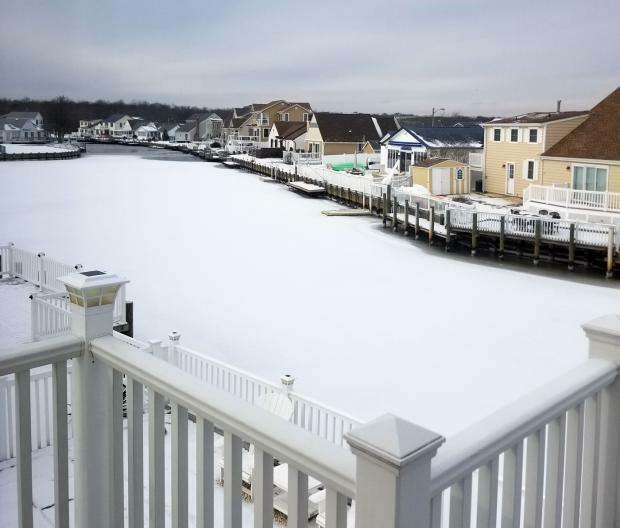 While the title of this report is guilty of some exaggeration, by just looking at the temperatures across New Jersey the past two Februaries you would not be far off the mark. The mildest February by far occurred in 2017 (40.4°), while this past February 2018 came in second mildest at 39.2°, just edging out 1998. This was 5.8° above the 1981–2010 mean and an impressive 8.3° above the 1895–present mean. The difference between mean periods further illustrates how Februaries in recent decades have been milder overall than earlier in the 20th century. So does the fact that February 2018 was milder than 62 of the past 123 Marches (February 2017 was milder than 70 Marches). Not to be ignored due to February’s warmth, monthly precipitation certainly delivered in an impressive manner. The average statewide rainfall of 5.97” ranks as the third wettest on record. This is 3.17” above the 1981–2010 mean (2.87” above the period of record mean) and is the wettest February in well over 100 years. The first month of 2018 was replete with cold, warmth, snow, rain, and stretches of dry weather. 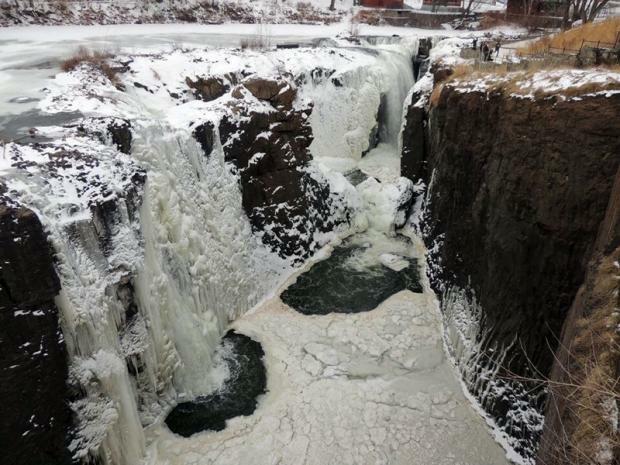 First came an impressive episode of subfreezing conditions that began in late December and extended into the second week of January. This interval included a storm that brought over 10” of snow and blizzard conditions to coastal counties. Next was a heavy rain event accompanied by much warmer air, then later in the month, several scattered rain and snow episodes interspersed with dry conditions and some 60° warmth. Something for most everyone, I suppose you could say! The statewide January mean temperature was 29.2°. This is 1.5° below the 1981–2010 mean and ranks as the 55th coldest January of the 124 since 1895. It was the coldest January since 2015. Precipitation (rain and melted snow) across NJ averaged 2.69”, which is 0.71” below average for the month. This was the 39th driest on record and the lowest total since 2010. January snowfall across the state averaged 8.3”, which was 1.1” above average. Northern counties averaged 7.9” (-1.4”), central ones 6.9” (-1.0”), and the south on top with 9.2” (+3.4”). Through January, this snow season has brought an average of 17.0” (+4.1”) to New Jersey, with the north at 16.6” (-0.8”), central 14.7” (+0.3”), and south 17.0” (+4.1”). The last month of 2017 was similar to many a month this past year. Whatever the season, weather conditions varied quite a bit from week to week. This was mainly due to an absence of atmospheric blocking in the middle and high latitudes with patterns that can lock a particular weather situation in place for multiple weeks. Thus in December we had a mild week, a snowy week, and a very cold week interspersed with transitional conditions. The one largely absent factor was precipitation, which resulted in the 10th driest December across NJ since records were established in 1895. 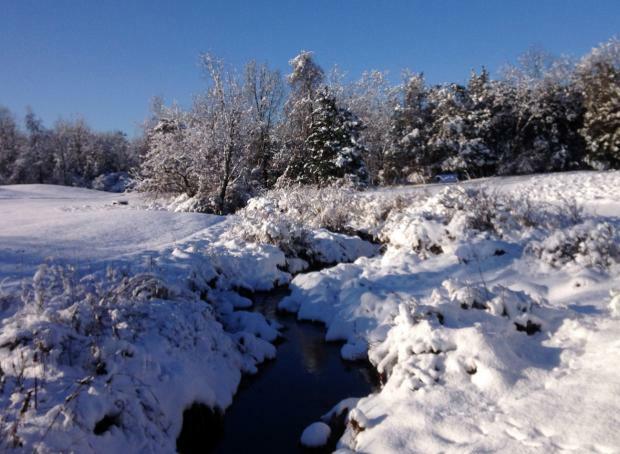 The 1.57” of rain and melted snowfall was 2.28” below the 1981–2010 average. Snowfall averaged 8.7”, which is 3.9” above average and ranks as the 25th snowiest December on record. It was the snowiest since 2010. North Jersey averaged 8.7” (+2.1”), central areas 7.8” (+2.3”), and the south 9.1” (+4.9”). Temperatures seesawed from week to week, with the monthly statewide average of 33.6° being 1.6° below the 1981–2010 average. This ranked as the 61st coldest or 63rd mildest December on record. The tenth month of 2017 was marked by the slow arrival of October-like conditions, including the first freezes of the season, the close-to-two week delay in the fall leaf season, and the absence of much precipitation until two late-month storms made up for lost time. Amidst all of this, October proved to be the second warmest across New Jersey since the onset of records in 1895. The 60.7° average was 6.2° above the 1981–2010 normal, trailing the 2007 record by 1.4°, but 0.9° above the now third mildest October in 1971. 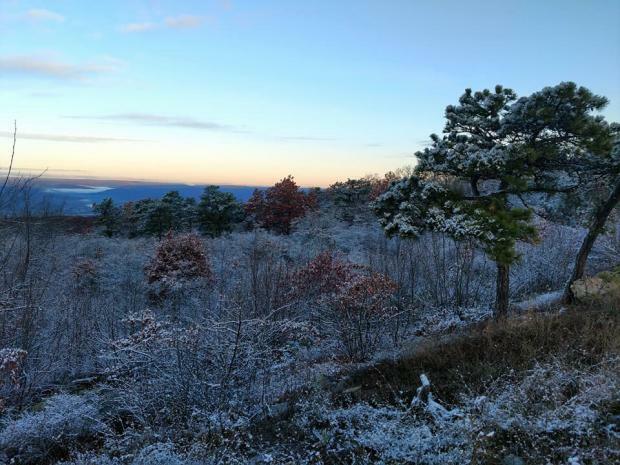 The month ended with a large portion of the state yet to be visited by the first freeze of the season. Rainfall was rather limited throughout the first three weeks of the month, leading to an expansion of D0 “abnormally dry” conditions across the northern half of the state in the US Drought Monitor. 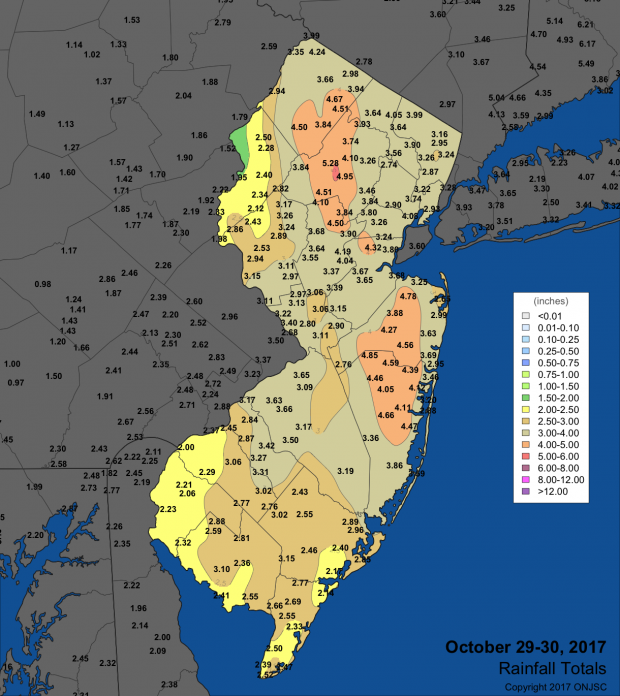 It was anticipated that a portion of the north would move to a D1 “moderate drought” designation and the remainder of NJ to D0 come the October 31st weekly map (as mentioned in previous reports, the state climate office plays a significant role in making such designations). However, some welcome rain fell on the 24th, and on the 29th the largest statewide rain event since April 30, 2014, brought close to, and in some areas more than, a month’s worth of liquid in a major storm. This arrived on the 5th anniversary of Sandy and 6th anniversary of a historic early season snowstorm. When all was said and done, statewide October precipitation averaged 4.96”. This is 1.07” above average and ranks as the 25th wettest of the past 123 years.